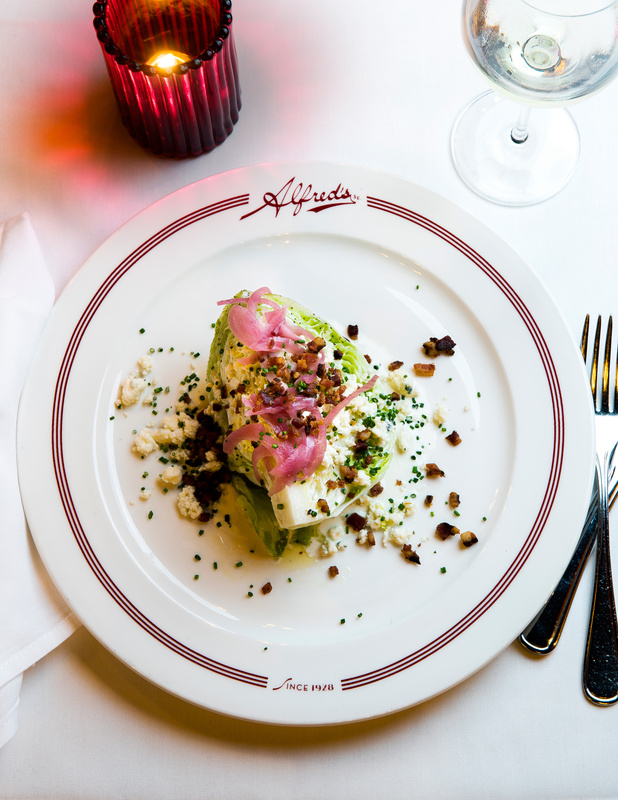 Rich, creamy, and tangy, this dressing was created for the superlative wedge salad at Alfred's Steakhouse in San Francisco. We love it on steak salads and, of course, with buffalo chicken wings. Put mayonnaise, sour cream, buttermilk, blue cheese, lemon juice, and vinegar in a blender and blend until smooth. Season to taste with salt and pepper.